At Bertie’s we try and keep our environmental impact as low as possible, we only use locally sourced coppiced timber for firewood production and use the waste wood from our log processing line to fire our log drying kilns. 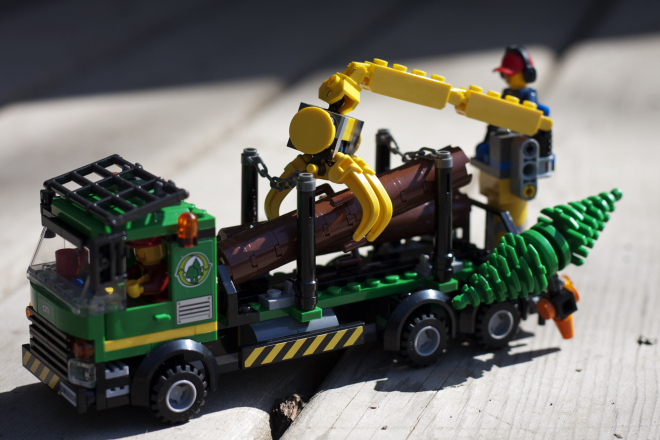 We use software to map the most efficient route for our delivery trucks to take each day and all the timber hauled into the yard is brought on the largest possible vehicles, thus reducing lorry miles. All our packaging is returnable and reusable or recyclable. Every Summer Bertie’s likes to give you the chance to get your log store all stacked up and ready for Winter. 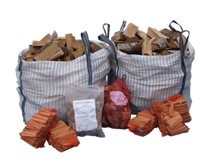 This year you can order a delivery of Bertie’s Kiln Dried Logs at last years prices, plus receive a Jumbo bag of kindling, a net of wood chunks, a bag of wood briquettes and a bag of natural firelighters for FREE. Which Wood Makes The Best Firewood? The simple answer to this question is any wood that’s dry! The slightly longer answer is that any wood that’s dry, but preferably dense too. Timber when freshly felled usually has a moisture content of 50-60% and as with burning anything damp will not be easy to light or provide much in the way of heat. As a rough guide firewood like Bertie’s Kiln Dried logs with a moisture content of 20% will produce around twice the heat of freshly cut logs with a moisture content of 55%. The density of the wood has an effect too, with slow growing hardwoods being much denser than quick growing softwoods. This means that you will need to burn about 4 softwood logs to get the same heat output as 3 hardwood logs of the same moisture content. Softwoods can also contain more sap and this can lead to the build up of tar in the chimney. That’s why we produce our kiln dried firewood from locally sourced hardwoods including ash, birch, beech and oak. Lighting your new stove can take a little bit of practice, but hopefully the tips below will help you get started. Make sure all the air controls on your stove are fully open. Place a Waxling firelighter in the middle of the grate and build a ‘wigwam’ of Bertie’s kindling around it. Light the firelighter and close the door almost completly, leaving it slightly ajar. Once the kindling is burning well add a small klin dried log or 2 to the fire and allow them to catch well alight. Still keep all the air controls open and the door slightly ajar. Once the fire is burning well with a bed of glowing embers close the door and then start to close down the bottom air control. This allows the stove to start to warm up. Once the stove is warmed up, start managing the heat output of the stove using the amount of fuel and air added to control the heat produced. Add more fuel and more top air and the stove will produce more heat. Remenber that firewood burns best when it’s on a bed of ash, so always leave an inch or so of ash on the grate. 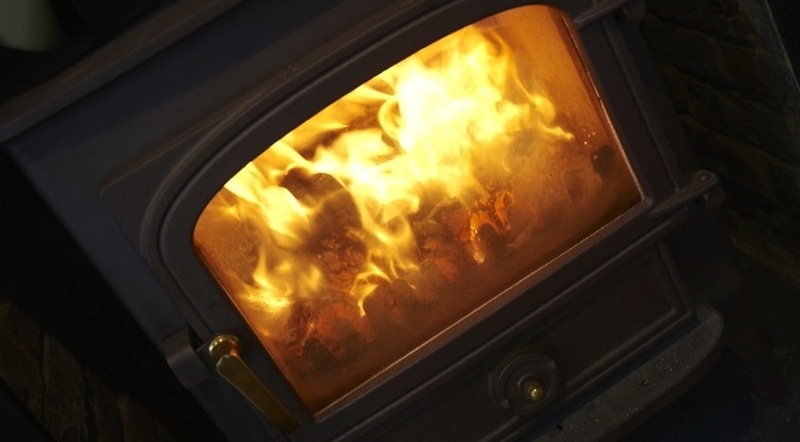 To get the best heat out of your stove and to eliminate ‘sooting’ on the window always use kiln dried logs. Finally it takes a bit of practice to get a stove working well! People often ask us “Where does all the timber Bertie’s use for making firewood come from”. Well the answer is, from a number of local Estates that have extensive woodlands that need management and maintenance. Many of the woodlands you see today when driving around Kent have been in existence since Roman times and have been used as a source of timber for making fencing, firewood, hop poles and even as pulp for paper for Centuries. Many of these markets have declined , but the woodlands still need to be managed by thinning or coppicing to ensure that the trees stay healthy, and flora & fauna flourish. 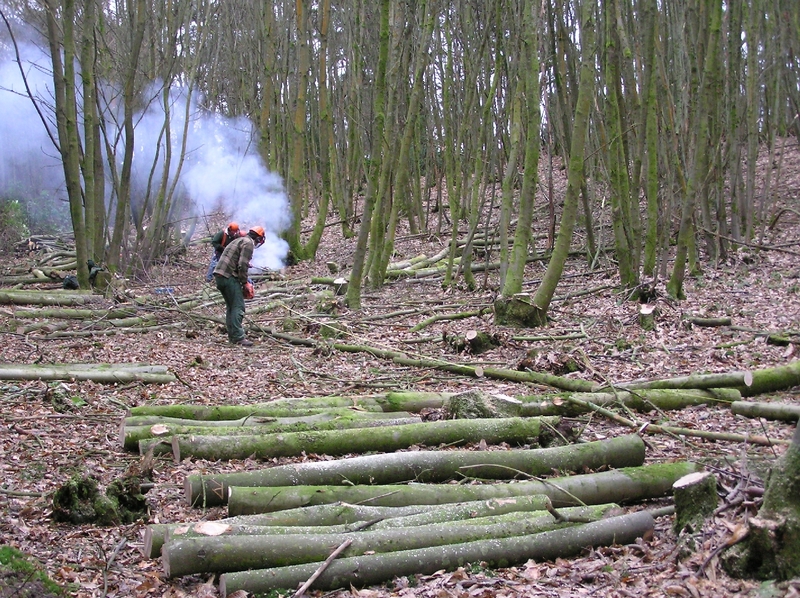 Bertie’s work with local Landowners, typically with 10 – 15 miles of Hadlow, to help them manage their woodland. We sometimes buy timber ‘standing’ and harvest the trees ourselves or we buy ‘roadside’ where the trees have already been cut down and neatly stacked ready for collection. All the timber we buy is produced as the result of the ancient art of Coppicing, where a tree is cut down to about 30cm from the ground and then regrows over 12 – 15 years. This process is carried out in blocks to encourage bio-diversity and to ensure a steady supply of timber. 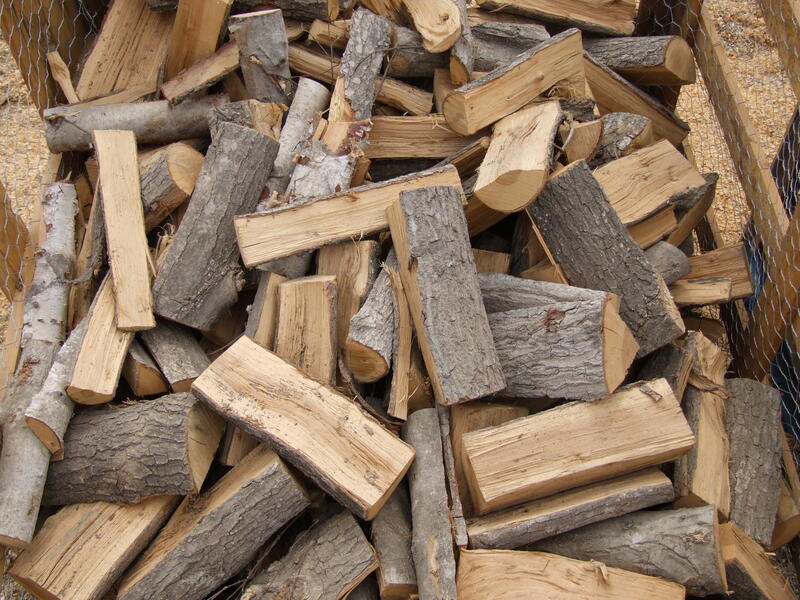 We think burning wood fuel is great for the enviroment, both locally and globally. Using firewood locally displaces imported fossil fuels, provides rural employment, helps maintain the unique look of the Kent Countryside. 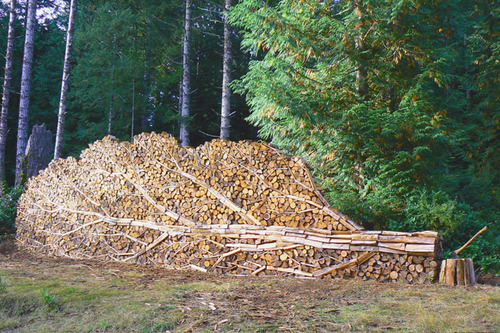 Wood fuel is carbon neutral too, with it’s use helping to reduce global emissions levels. You can now impress all your friends and neighbours by commissioning Bertie’s to stack your firewood for you. We have launched a new bespoke log stacking service with a wide range of designs to choose from and all for a stacking fee of just £1 per log! (firewood extra). The design below is only £2000, so don’t delay order your Bertie’s custom stacked firewood today! How Do I Know My Firewood Is Dry? How Cheap is Heating with Wood? Help, it’s Cold and My Stove Won’t Work Properly!